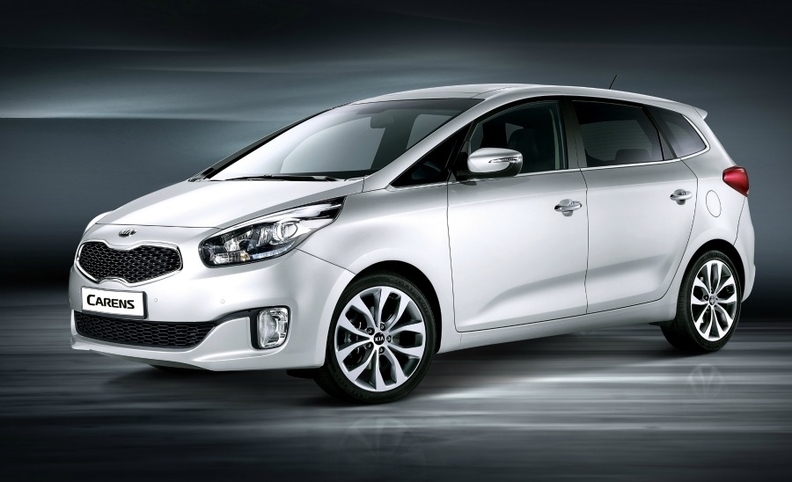 The new Kia Carens, pictured, will compete against the Ford C-Max, Renault Scenic and VW Touran in Europe. Kia said it aims to attract a new group of consumers when it launches the new Carens medium minivan in Europe early next year. The company today released pictures of the third-generation Carens, which will debut at the Paris auto show on September 27. Kia said the brand wants to attract younger buyers with the new Carens. The brand hopes an "athletic and visually dynamic design" will help achieve this. "Kia vehicles have traditionally bought by much more mature customers, but with new Carens we're trying to aim at a younger generation, including young families who need the practically of the minivan but don't want to give up on the style of a car," a spokesperson told Automotive News Europe. The Carens will be available with five or seven seats. In Europe, it will compete in the same segment as the Ford C-Max, Renault Scenic and VW Touran, and it also replaces the larger Sedona minivan, which will no longer be sold in Europe. Kia says the new Carens, pictured, has an ''athletic and visually dynamic design." The Carens is the last model in Kia's range to be given the brand's new corporate look devised by Chief Design Officer Peter Schreyer. It features the familiar tiger nose grille. The minivan will no longer be sold with 2.0-liter engine options. Instead it will be offered with 1.6-liter gasoline and diesel units shared with the Cee'd compact car. The Carens is built on a platform derived from the Optima sedan's underpinnings. It is manufactured in Korea. 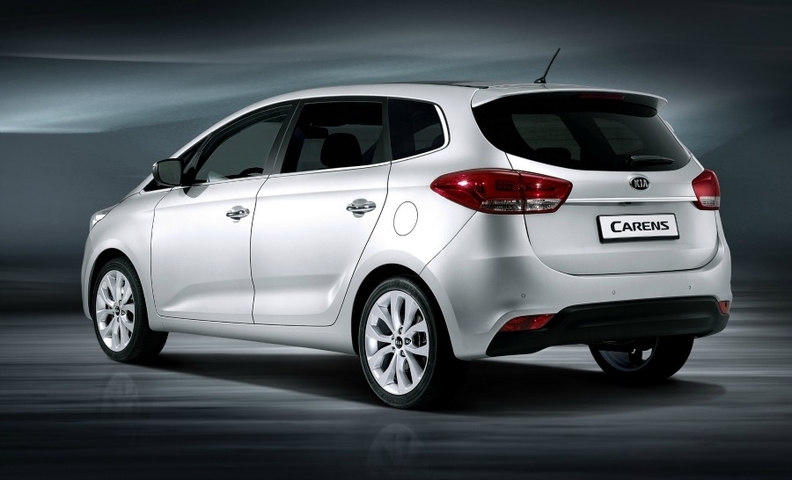 The Carens is a slow seller for Kia in Europe. Combined sales of the Carens and Sedona in the first six months were just 784 units, according to JATO Dynamics market researchers.